Presenting a little grandeur in a handy space, this quality, metal drawer handle will add a little touch of subtle elegance wherever it serves it roll. 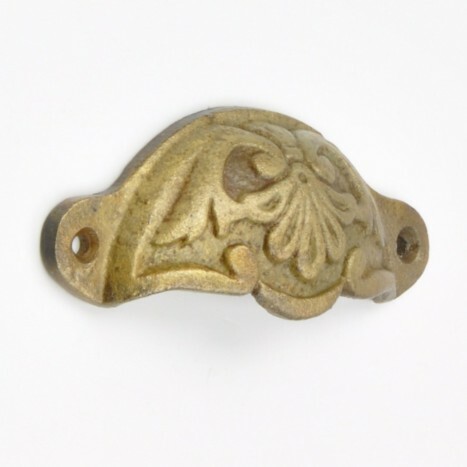 Cast with interesting detail and produced from high quality metals, these drawer handles are set to last a life time. Tags: iron drawer handles, wrought iron drawer handle, cast iron dresser handle, kitchen drawer handles.